Back by popular demand! West African inspired percussion band KIDIMANDI is teaming up with our resident DJs to offer roof raising beats to rock the dance floor! 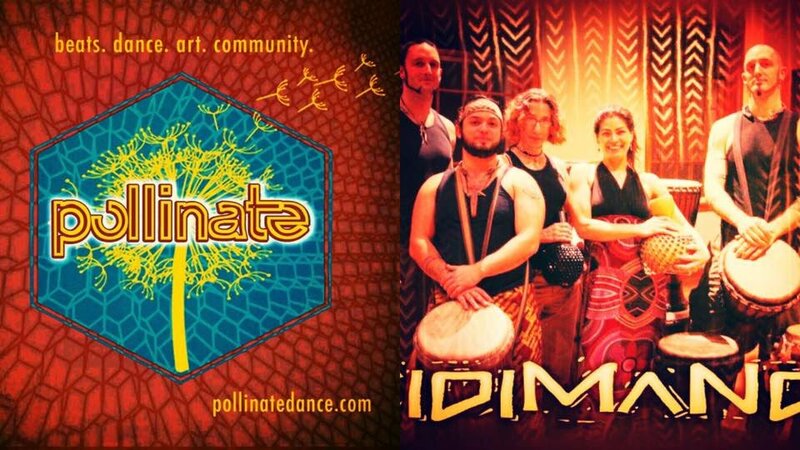 Pollinate DJ’s are teaming up again with KIDIMANDI, renown West African inspired percussion band. Don’t miss this incredible night that’ll nourish your senses and move your body and soul with blend of live druming and tasteful sounds of World-Bass and Soulful-Electronic. KIDIMANDI – Shaped by Sacred Fire-Circle, friendships, and connections made over the last fifteen years, Kidimandi is a charismatic, high-energy drumming troupe who draw primarily upon West African musical tradition and the pan-African diaspora; integrating melodic sounds with dynamic rhythms.